When I was younger I always wanted to be a journalist, and the media still holds a bit of magic and mystery appeal to me now. Great articles are economical with language, have an intelligent structure and give an informative and entertaining reading experience – all gold dust for language lovers. If you look into the mechanics of an article you can see all sorts of techniques at work, and often some political and personal biases coming into play. 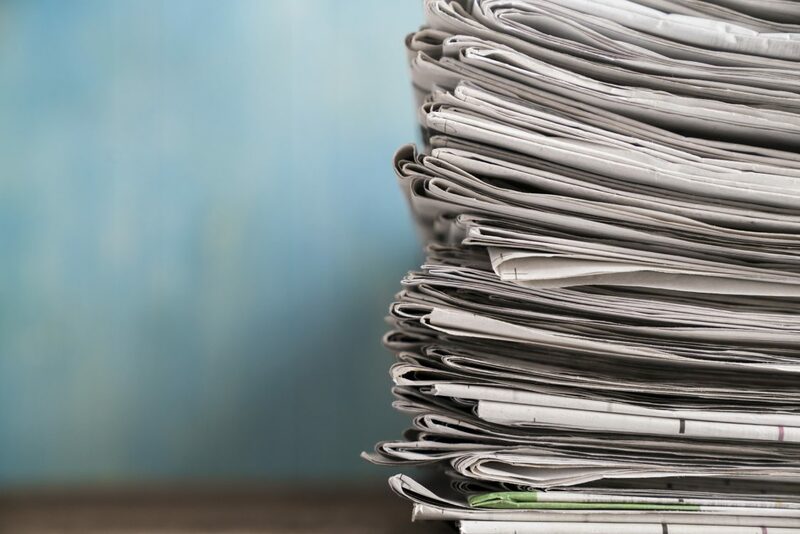 You might have heard talk in recent years that the press release is dead – so said the government’s head of comms, Alex Aiken – but it isn’t true. He said “you should not start with three pages of A4, but a tweet, an infographic or a video. If you are writing more than 200 words on any subject, you’re probably in the wrong place.” This isn’t true either, especially in the B2B space where technical insights can be an asset, and the best articles can run up to 2,000 words rather than 200. I’d say that press releases, opinion pieces and thought leadership articles are on the same shelf as paperback books. All of them supposedly died in about 2007 when the Kindle came out and the internet boomed. But all are still here in 2018 and as influential as ever. Our clients regularly appear in national, trade and regional media, and it’s always thanks to quality written pieces. For companies looking to get their share of voice through PR, writing for media is the most important discipline. Here are my key pieces of advice on how to write a press release, think like a journalist and get media coverage. When writing for media, you need a story – that’s the first factor which will decide whether you get coverage or not. This might seem obvious, but when you’re in the bubble of your own company it’s easy to under or overestimate the situation. I’d say opening a new office is a story, but fitting it with a new water cooler isn’t. I often operate a ‘first, biggest, best’ approach. Is your company, product or service the first of its kind? How about the biggest or the best? And can you back that up with facts? An example. If you could take a situation with the ideal list of ingredients for media coverage, it would be plans to build a huge observation wheel on Newcastle Quayside. It’s five metres taller than the London eye and set to Europe’s largest = biggest and best. Plus, it’s called the ‘Whey Aye’ – perhaps the perfect pun. When it comes to how to write a press release, being objective is key. Think and write like the journalist, because when your news lands in their inbox you need to give them confidence that it’s as impartial as if they’d written it themselves. Most importantly, avoid adjectives. You might think that your new service is “fantastic”, “impressive” and “exceptional” – and it probably is – but the journalist wouldn’t include value judgements like this, so nor should you. If you really do have the evidence to prove that what you’ve done is “ground-breaking” or “innovative”, then show it straight away. So, when is the time to get on your soapbox and let everyone know what you really think? In a press release itself, quoting someone from your company allows you to speak much more freely and personally, as it’s all within those magic speech marks. Likewise, when writing comment, opinion and thought leadership pieces being subjective is a must – back-up your opinion with facts and expertise and you’ll have an engaging, informative piece. All publications will have their individual house style, but most also sign up to general journalistic conventions and style. This includes not starting articles with the word “the” or “a”, not capitalising the first letter in job titles and not closing speech marks if a quotation carries onto the next paragraph. Knowing these tricks of the trade are vital to putting forward the most compelling package to the media and will give your company the best possibility of securing media coverage. Remember how I said writing for media is the most important discipline for getting coverage? Well, it is and it isn’t. Every article needs an image, and every image tells a story. Time and attention should be invested into taking the most appropriate photography for your brand or designing an impactful graphic. The media relations behind the news is also key. Having a succinct pitch to give journalists over the phone is an art in itself, as is knowing who to contact and the right time to do so. While your perfectly drafted news item will do plenty of work, writing effectively for media needs to be accompanied with a strong sell-in too. For more about Brand 8 PR’s media relations services, visit our media relations page.